We often make the mistake of thinking that changing one wall will completely alter our perception of a room. The truth is, no matter how much we kid ourselves; it simply isn’t the same as totally redecorating your room. Even if the current three walls match the colour palette of your new wall, you’ll be left wanting more from your decorating. In short, feature walls are so 2012. Taking control of all four walls at once need not be so daunting. Relish the chance to really make an interior impact with designs that encapsulate elements of your personality. In need of a little inspiration? Let us show you how! Combining our Festival Natural wallpaper and our Woodstock Natural wallpaper is the perfect way to prove that displaying multiple wallpaper motifs is possible in one room. 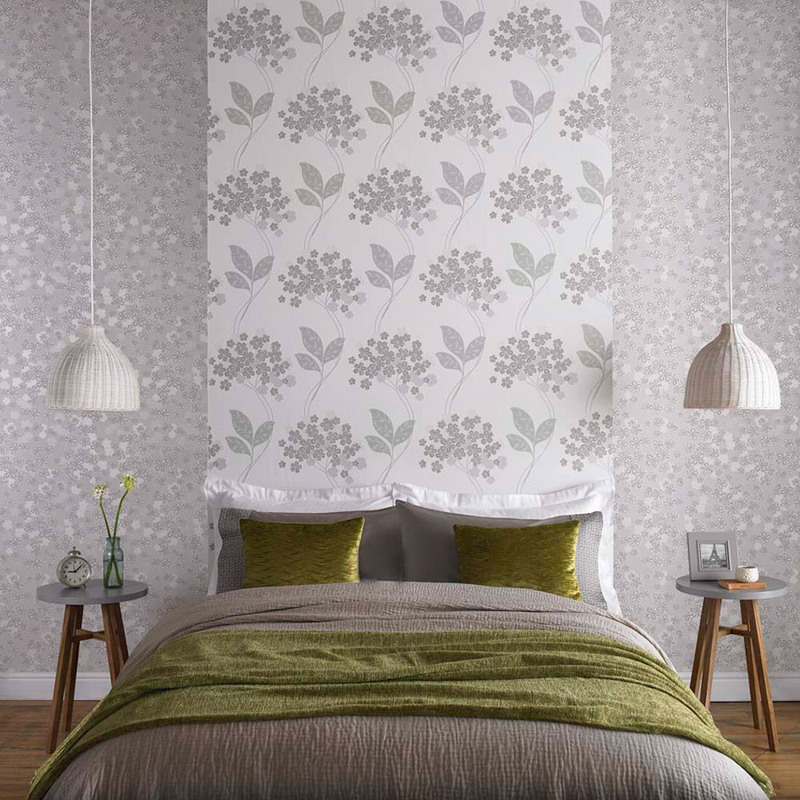 By keeping the palette the same on both designs, this metallic wallpaper combination works together in harmony. 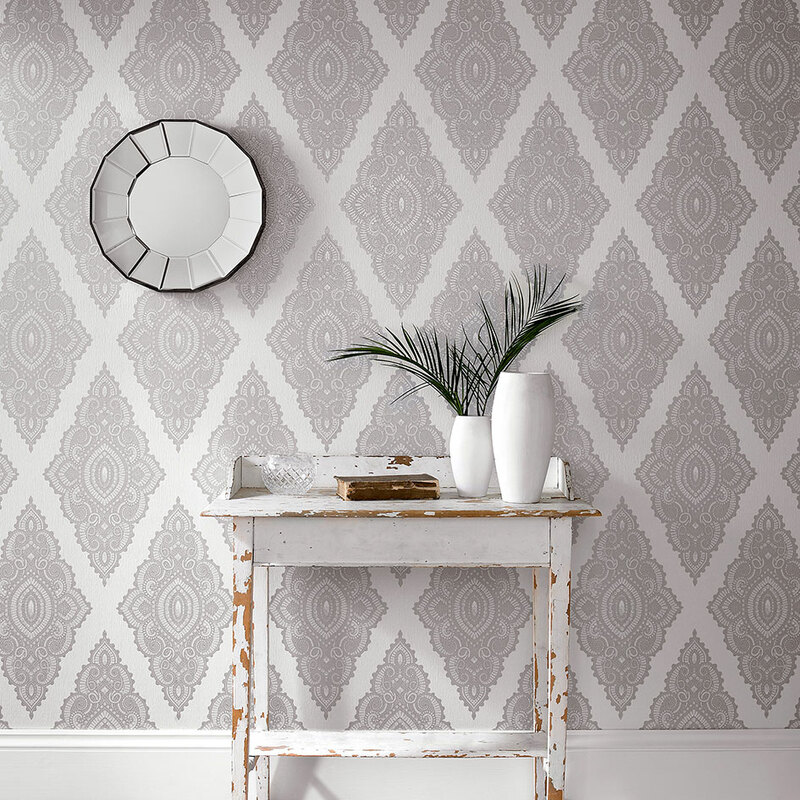 You’ll also notice the difference in scale, which is absolutely vital when working with contrasting wallpaper patterns. It’s important to avoid using two small-scale motifs as they may make your walls look too busy. This noticeable difference in scale is much easier on the eye. If you’re looking for a floral combination that only features one flower motif, our Poppies Lavender and Waterfall Lavender work perfectly together. Much like the combination above, we’ve focused on the colour palette to ensure these wallpaper designs complement each other. For neutral-toned walls that wrap your room in a cosy snug of warmth, our Verve Stripe wallpaper could be what you’re looking for. Its gentle colour palette makes it tasteful enough to run around all four of your walls, but its subtle metallic stripes give it a gentle golden lustre. This unexpected wow factor can be used to influence the colour accents in your soft furnishings to really bring your interior design plans together cohesively. 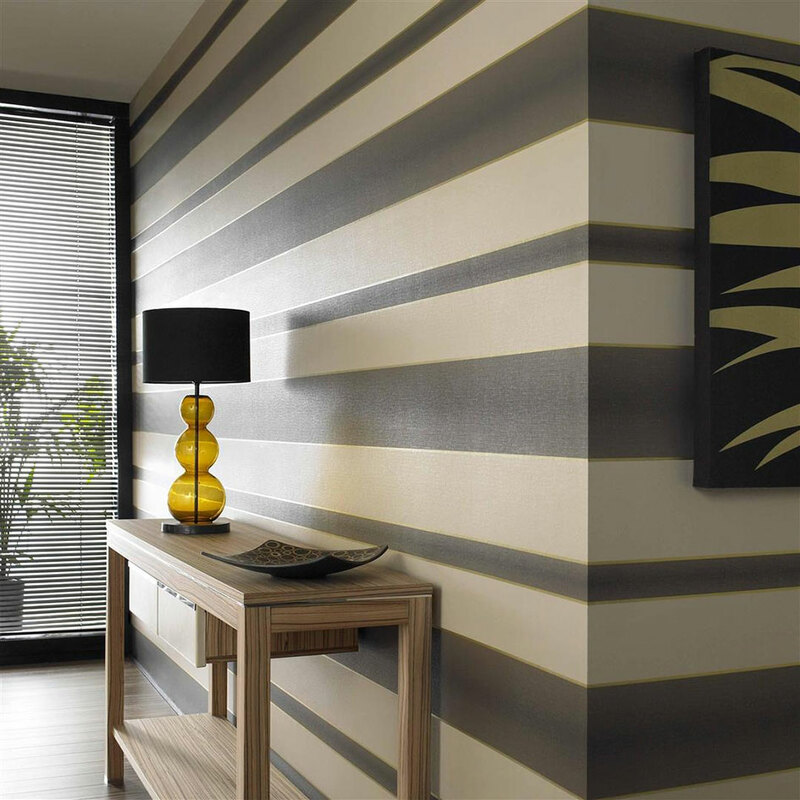 Plus, you can use stripes horizontally or vertically, so you can really mix things up within the same room, creating a unique look. It’s not all about matching colour, though. Textured wallpaper can play a huge role in four-wall design. 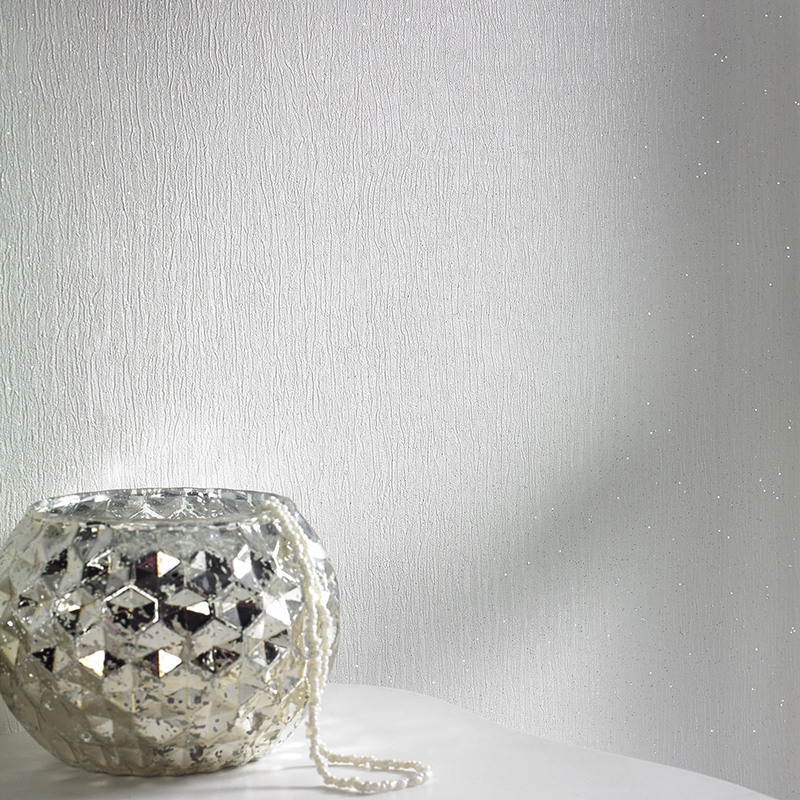 Our Jewel Pearl/Silver wallpaper by Julien MacDonald works perfectly with the Disco Pearl design from the same collection. A real feminine blend that takes the focus away from the pattern and shines a sparkling light on embossing and texture. As you’ve seen, the feature wall trend - where you’d paint three walls the same colour and put patterned wallpaper on the remaining wall - is out. People are being far more imaginative with their interior design plans, meticulously mapping out exactly how they will make each wall stand out. We hope this has inspired you! 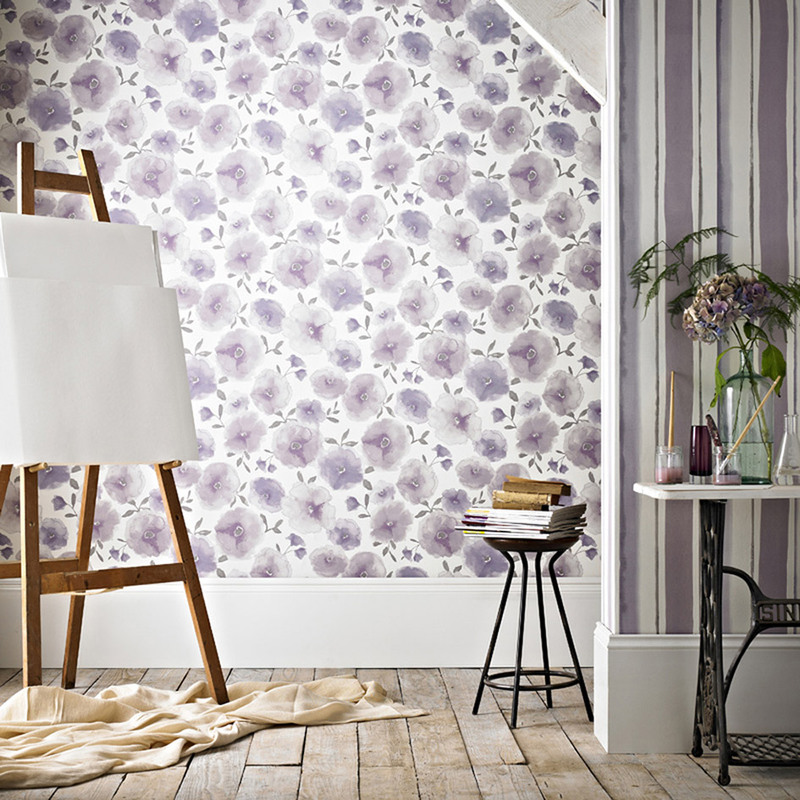 We’d love to see pictures of your four-wall decorating exploits.